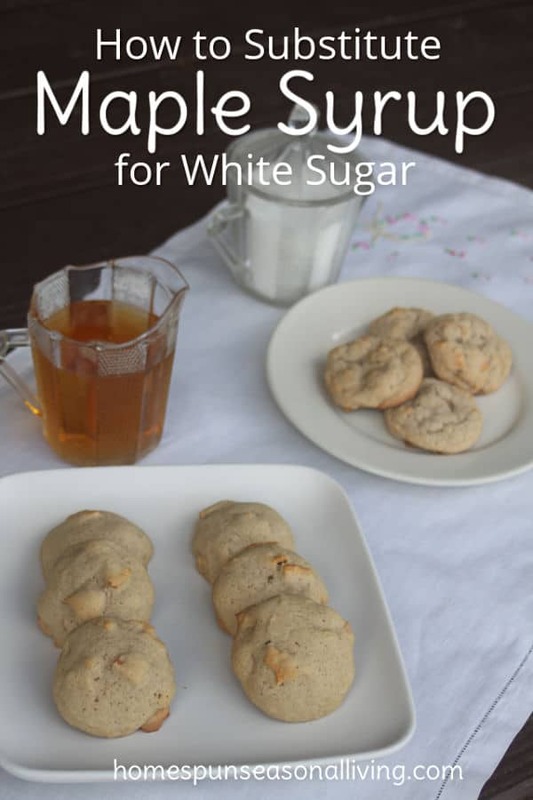 While there are plenty of recipes created specifically for maple syrup, I've taken up the challenge of learning how to substitute maple syrup for white sugar in other recipes. I've taken this challenge because we're blessed with an abundance of maple syrup after having tapped our own trees. Maple syrup isn't necessarily a frugal option for baking but it can be a tasty and easy thing to use instead of white sugar. Maybe. Maple syrup has minerals, antioxidants, and other benefits that white sugar does not. However, cookies and baked goods are still treats and should not likely be a regular part of our eating habits. No. Turns out it's pretty easy to substitute maple syrup for sugar in baked goods. You won't need a special calculator or do any kind of complicated formulations to substitute maple syrup for white sugar in your favorite recipes. It's not a one-to-one substitution, use a quarter less syrup than sugar. For example, for every 1 Cup of White Sugar use 3/4 Cup Maple Syrup. Because maple syrup is liquid, use less other liquid in the recipe. Reduce the other liquid by 3 Tablespoons, for example if the recipe calls for 1/4 Cup milk, you would only use 1 Tablespoon when using maple syrup instead of sugar. Turn the oven down 25 degrees. This is because maple syrup caramelizes differently and the higher temperatures might cause burning and even bitterness in flavor. There's no need to change any other ingredients or the cooking time in the recipe. The cooking time in my trials remained the same even at the lower temperature, but do check individual recipes to be sure. 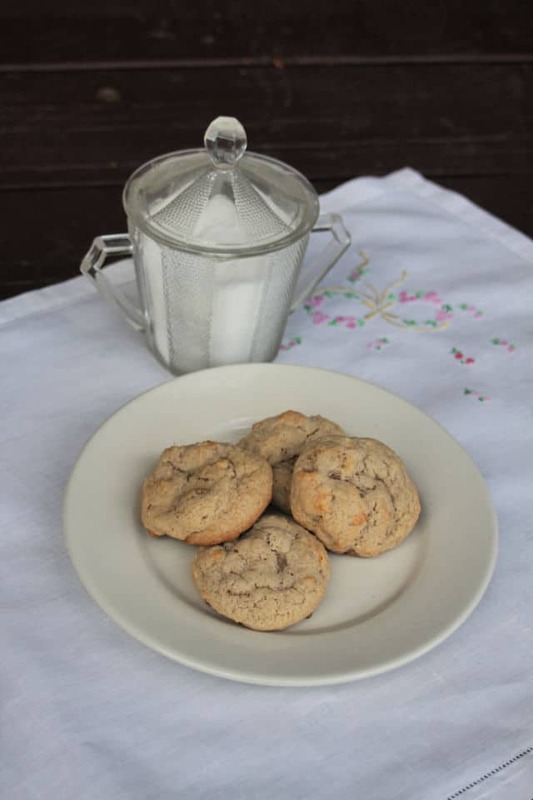 Cookies made with sugar are likely to be crispier than cookies made with maple syrup. In muffins or breads, it won't likely be as noticeable. Now in the interest of being completely honest, there are going to be some things where the substitution just isn't going to work, like those delightful sugar cookies that are nothing but butter, sugar, flour, and egg. Maple syrup isn't going to work there with great results, though maple sugar would and that wouldn't need any kind of fancy substitution plan. That's it, truly. I tested this method in soft cookies, muffins, and breads with stellar results. Don't be afraid to remake those favorite recipes with maple syrup. Want to see a recipe adapted for maple syrup from white sugar in action? 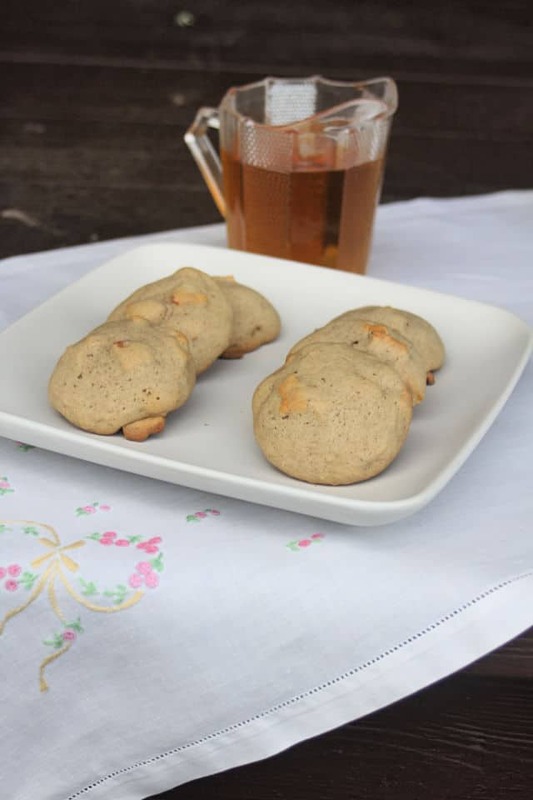 Sign up for our newsletter and get the recipe for the dried apple cookies featured in the photos here delivered to your inbox. You'll get the original white sugar recipe right alongside the adapted maple syrup recipe for your own use. For sure, this is something to do when you have ample supply and admittedly it’s expensive stuff to buy. Do you know if the rules are the same with honey? We’ve found a source for raw honey (local to my mom, if not to us) at a reasonable price. I don’t bake a lot and I don’t have precise measurements for using honey. But when I do bake I use honey exclusively (no sugars). I think Kathie’s recommended changes sound about like what I have done. How things come out for me seems to depend a lot on the flour, and whole wheat can handle more honey than white can since it’s heavier. Also, I don’t bake the fancy things that Kathie does! She puts me to shame! Awesome article. I know about reducing the amount of maple syrup but didn’t know about the others. . .that would explain a lot. Thank you. If I may, I just found this page while finding how to substitute Maple Syrup in recipes. We have found a good supply of syrup from both Costco and Trader Joe’s. We prefer the Trader Joe’s here because it’s from Vermont. Also, it’s less than $20 a quart. Hope this helps. Thinking about trying maple syrup or honey in biscotti instead of sugar. Anyone try this with success? 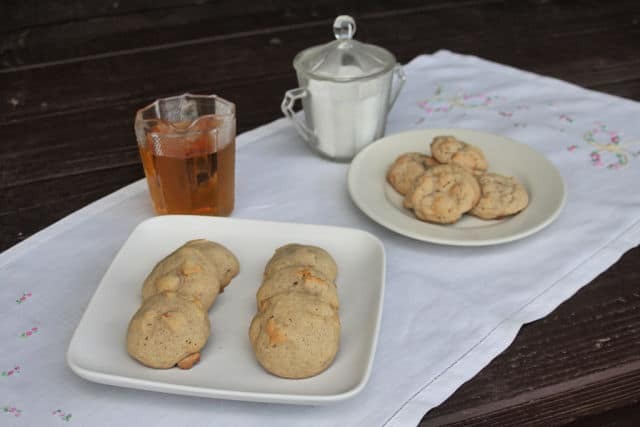 I would go for the maple sugar for Biscotti… it needs to be dry and the extra moisture from the honey or maple syrup might make it soft and longer cooking even at a lower temperature may result in too dark of a final product.